Is Recreational Cannabis Adding Unfair Taxes for Medical Users? In a recent opinion piece in the Globe and Mail, David Clement argues that legalizing cannabis for adult use has “inflated prices” due to taxes and costs for “bank vault” growing conditions. He argues that this may be putting medical cannabis out of reach for those who need it most. “The pricing on cannabis resembles how the government views alcohol. The issue with this view is it completely ignores that cannabis is also a wellness product and a medical product. Because the government has failed to understand this, patients are now paying excise taxes on their prescribed medicine. This is incredibly cruel for patients, many who are either on disability or fixed income,” he said. He cites the 10 per cent federal excise tax, the 2.3 per cent federal revenue tax, and various provincial taxes such as Manitoba’s Social Responsibility Fee as part of the ever-growing tax burden. Further, strict regulations including high security measures limit both crops and licensed producers’ ability to expand operations. Supply is also an issue, and is contributing to the illegal market, he said (perhaps because of the limited crop area mentioned above). Quebec stores are only open on certain days. Manitoba has stopped issuing licences. Ontario has yet to open any bricks-and-mortar stores, remaining an online-only supply chain until spring of 2019. 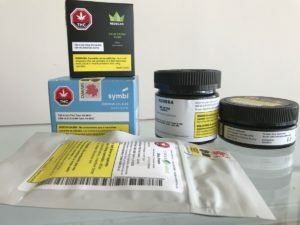 “Supply shortages have occurred in part because the federal government treats LPs as if they are only growing a medical product as opposed to a producer of a recreational product such as alcohol, which has handcuffed the industry,” he said. He argues that the hyper-regulation of cannabis compared to other wellness drugs is “insanely hypocritical”. Most can be purchased over the counter. This domino effect pushes consumers to the illegal markets to meet their needs, he argues. It’s uncertain what the government will do to alleviate these concerns. However, lowering taxes or (at least in the short term) lowering security requirements won’t likely be in the mix.